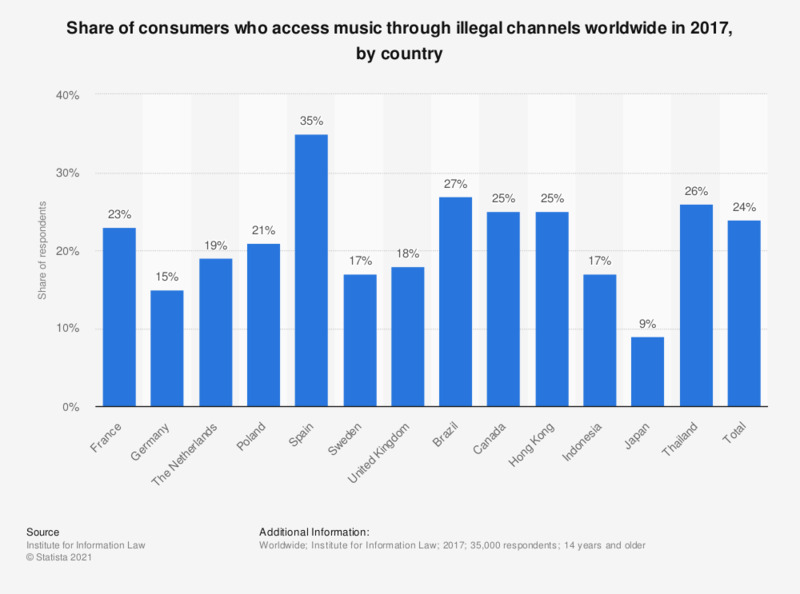 This statistic shows the share of consumers who access music through illegal channels worldwide in 2017, by country. During the survey, 18 percent of respondents from the United Kingdom stated that they had listened to recorded music through an illegal channel in the last year. The source does not state the date of survey or the type of survey used.